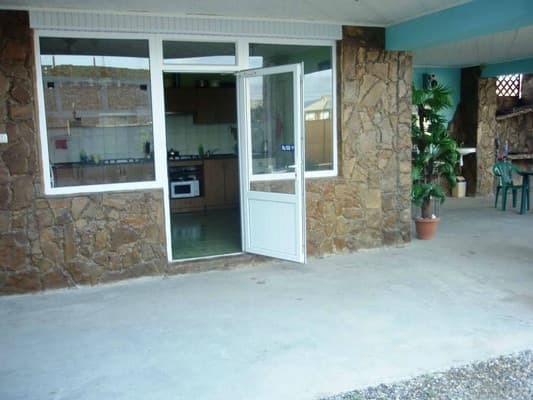 Guest house "Sudakov" is located in a picturesque place at the foot of the mountain Alchak in the resort town of Sudak. 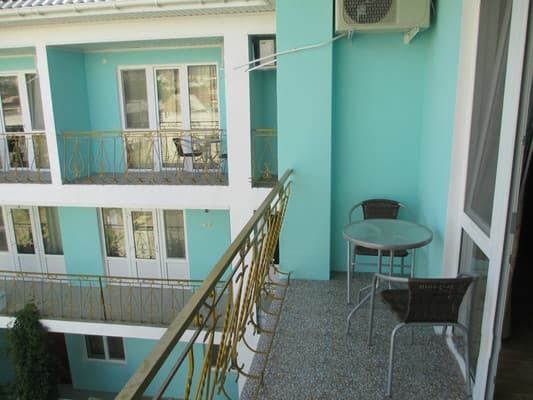 The hotel is located 500 m from the city beach and 5 km from Cape Meganom. 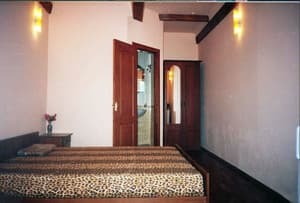 Comfortable single rooms of the category Junior Suite are available for guests. 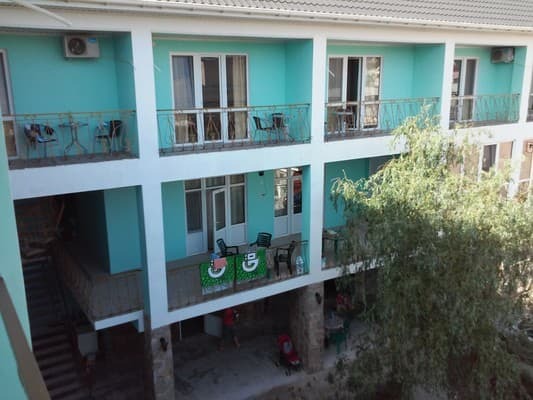 On the territory of the hotel there is also a kitchen-dining room where you can order Eastern and European cuisine, and if you want to cook your own meals, a minibar with satellite TV, Wi-Fi, summer gazebo in oriental style, green area, parking. For an additional fee, you can order a transfer, excursions, and also call a taxi. 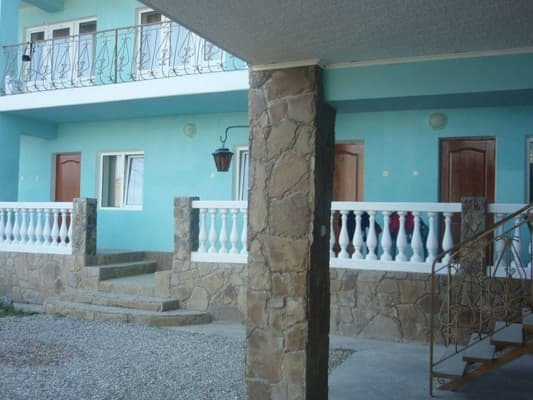 Description of the room: The room has a double bed, wardrobe, chest of drawers, bedside tables, TV, air conditioning, refrigerator, balcony with table. 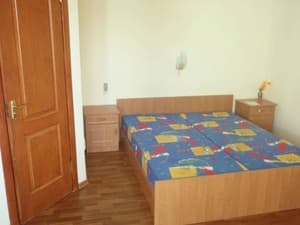 Description of the room: The room has a double bed, armchair-bed, wardrobe, chest of drawers, bedside tables, TV, air conditioning, refrigerator, balcony with table. It is possible to place extra beds by agreement. The cost of extra space is 40 UAH. 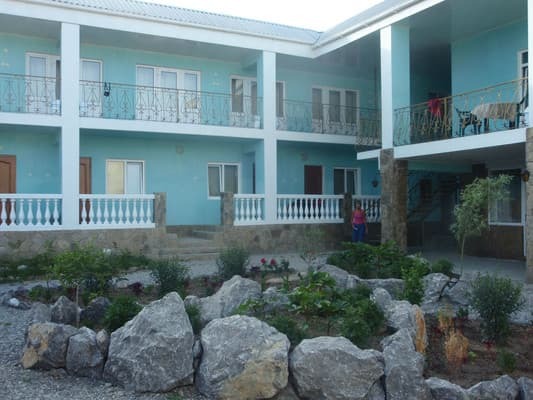 Guest house "Sudakov" is located in a picturesque place at the foot of the mountain Alchak in the resort town of Sudak. The hotel is located 500 m from the city beach and 5 km from Cape Meganom.